Part 1: What’s in the Last Mile? It’s tough being the last mile. Lashed pole to pole, it ambles into neighborhoods, and there it stays. Through ice storms and squirrel bites and drive-by shootings, the last mile is a mute and patient witness to everyday life. When it comes upon someone who wants what it carries, it faithfully slings off a line to that house. Like mail carriers and the office IT department, the last mile only gets noticed when something isn’t right, and never when things are going fine. The last mile is also the first thing competitors covet, when they size up the cable television industry. After all, there are but three wires that carry stuff into consumers’ homes: Power, phone, and cable. Costs also vary depending on what type of mile it is. There are “line extension” miles, which nudge into new neighborhoods. There are “rebuild” miles, where most everything that’s up comes down – a total makeover. Then there are “upgrade” miles, where the guts of amplifiers are removed and replaced, usually with modules that afford a higher bandwidth. Cable’s last mile, while acknowledged as the main taproot to customers, is hardly a new story. Most MSOs, except maybe AT&T Broadband and Adelphia, are past the big push of rebuilds and upgrades. All the technological action these days is happening at either ends of the plant – at the headend, and in the home. So, partly in an effort to beckon Spring – when plant work heats up – and partly because refreshers never hurt, a composition on what constitutes the last mile seems useful. For starters, the last mile isn’t really a mile. It’s a collection of cable lengths that, when summed, can become a mile. But the last mile is almost never a linear mile, and building a mile almost always requires more than a mile’s worth of materials. There are expansion loops, installed to resolve the different reactions strand and coaxial cable have to temperature changes. There are “taps,” usually delineated by the number of ports they contain, and used to adjoin fatter feeder cable to the skinnier cable that drops off to homes. And, of course, amplifiers, to boost signal levels as they inevitably wane over distance. Then there are tools. Lots and lots of tools: To drill holes, to cut tree limbs, and to tighten bolts. Dynomometers, to double-check the tension of the hung cable. Meters, to check signal levels. 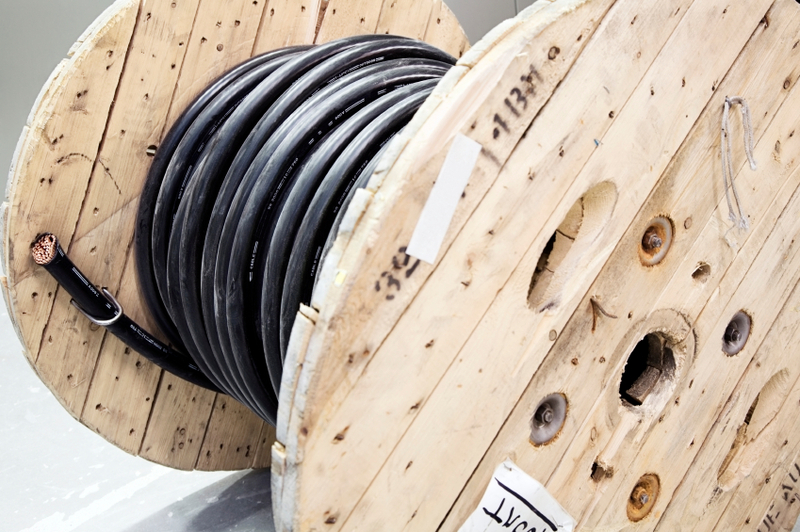 For the cable itself, there are tools that strip back its protective jacket, and core it to expose the “stinger” – the center conductor – and the medium that carries signals to homes. Another tool cleans off the dielectric foam that otherwise protects the stinger. Not surprisingly, craftsmanship matters at every step of the planning, design and especially the construction of the last mile. Forget a “drip loop,” for example, when installing a tap, and the next rainstorm will assuredly pour water directly into the tap housing – not good. Allowing a kink almost always means having to revisit that section of plant later. Incorrectly bolting strand to the pole opens risk of what skiers call a “yard sale” – falling down and losing everything. That’s the stuff of the last mile. Next time, how a last mile is planned and built. Every so often, a new set-top manufacturer attempts an entry into cable, flush with the moxie to snitch market share from incumbent suppliers Motorola and Scientific-Atlanta. They’ll break the duopoly, they say. Their invention is usually cheaper, or more muscular, or both. Pretty soon after that, new suppliers slam into a big, seemingly immovable roadblock. There, they learn that making a digital set-top isn’t as easy as stocking up on chips, a chassis, a power supply and a reference design. Some people just say “conditional access,” tacitly including the encryption part of the process. Others refer to the techniques by brand name – “DigiCipher,” in the case of Motorola; “PowerVu” and “PowerKey,” in S-A’s lingo. In one big, evident translation, conditional access and encryption is digital-speak for protecting premium services from theft. More specifically, conditional access mechanisms determine whether customers are authorized to receive a premium service. On the condition that customers pay for service, they get access to it. In other words, conditional access is the door guard. No pay, no see. 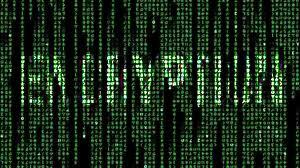 Encryption, not surprisingly, is the top-secret mixing of digitized video bits, to make premium services undecipherable by pirates. It is the secret sauce of conditional access. In general, here’s how conditional access and encryption works in digital cable systems: First, TV shows are digitized, then compressed. To secure the shows (the “payload”) for the long, air-and-ground trip to consuming homes, an algorithm – a string of secret numbers – is applied. Algorithms disarrange the digitized video bits in a way that, with any luck, only the headend equipment and associated set-tops know. This payload padlock happens in two steps. First, a set of security techniques protects the content as it travels by satellite to the headend; there, a piece of equipment called an “integrated receiver/transcoder,” or “IRT,” decodes it. The IRT then re-encrypts the shows for their ride, over the cable plant, to the digital set-top box. If the box is authorized (via the conditional access mechanism) to receive the premium content, the encrypted information is de-crypted (unscrambled). To go with a new digital set-top manufacturer, then, MSOs need to either replace the headend part – an unlikely cost proposition, if digital TV is already being delivered – or to encourage the incumbents to share their secret sauce. Despite the barriers, some succeed. Pace, Panasonic and Pioneer, for example, all make set-tops that work with Scientific-Atlanta’s equipment; Time Warner Cable had a lot to do with it. Sony is a set-top supplier to cable because Cablevision Systems’ technologists insisted on a conditional access and encryption system that wasn’t made by the incumbent suppliers. The last of the MSOs to go to digital, Cablevision didn’t have to fuss with replacing expensive headend equipment so as to attract new set-top suppliers. Yet, Sony is a supplier only to Cablevision, because all other MSOs already spent capital on headend equipment to support their digital video installations. There isn’t really a bad guy here. Maligning Motorola and Scientific-Atlanta for protecting their cash cow – set-tops — is like maligning the cable industry for protecting its cash cow – premium content. Still, though, it is the existing state of conditional access and encryption that dissuades the big consumer electronics brands from bringing competitively priced set-tops to the industry, and it is conditional access and encryption that makes MSOs grumble about feeling like hostages to the incumbent supplier duo. The hostage logic is best phrased in an old joke among cable’s technical ranks, about the just-as-old issue of when new set-top features will be delivered. This was funnier, of course, when there weren’t video competitors lurking at every corner, luring cable customers with features that cable doesn’t have, and that are available now, not in six months. The ability to be aggressively competitive is vital. So is the need to secure the stuff of aggressive competition. This problem is real. And as with every ridiculously complicated problem, the answer will require creativity and vigilance.